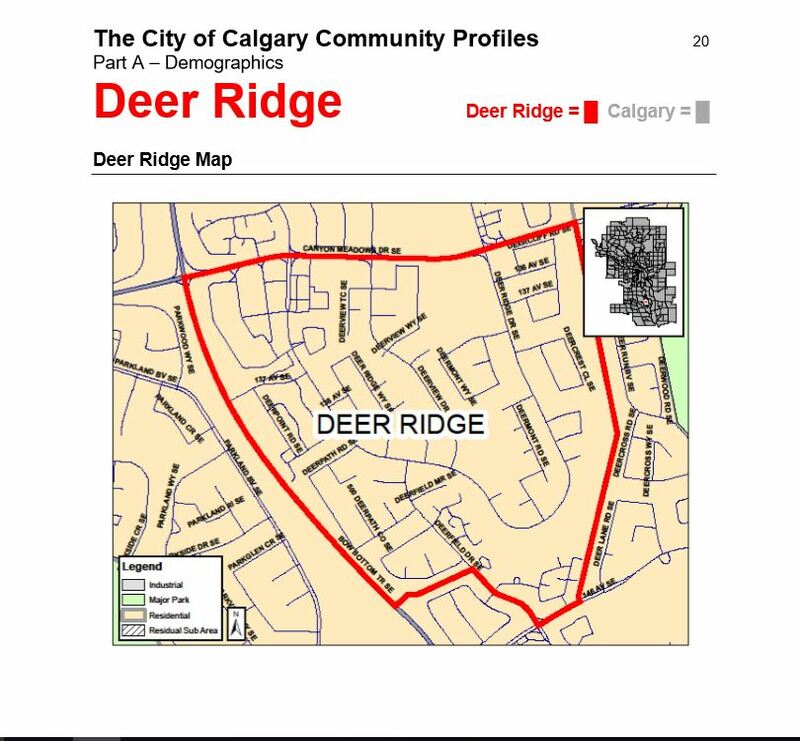 Posted in: Deer Ridge Community Association, Deer Ridge Volunteers, Deer Ridge Yellow Slide Park, Volunteers, Yellow Slide Park Deer Ridge. 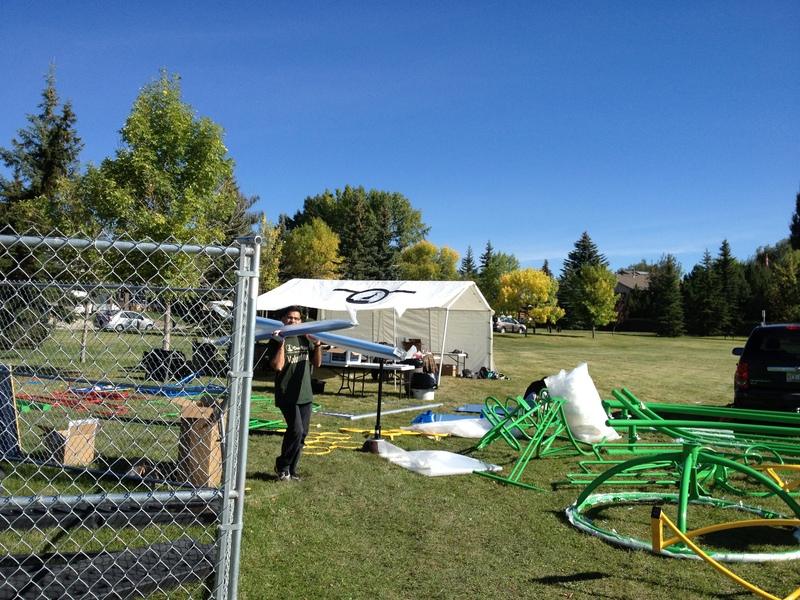 Tagged: 23rd Street Cafe, BDI Play Designs, blue imp, City of Calgary - Parks, Cornerstone Music & Cafe, deer ridge, Deer Ridge Community, Deer Ridge Community Association, Deer Ridge Volunteers, Deer Ridge Yellow Slide Park, geoLOGIC Systems Volunteers, Propellus, The Parks Foundation, Volunteer, yellow slide, Yellow Slide Park. 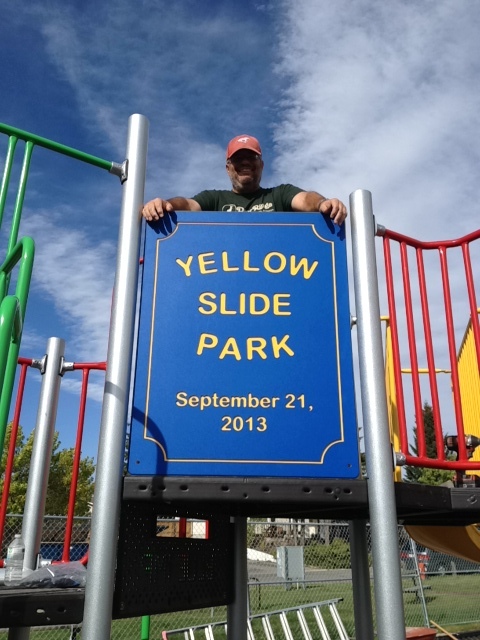 Deer Ridge Yellow Slide Park Playscape Build September 19-21,2013 – Thank you to all the volunteers who helped with the build of the new playscape at Yellow Slide Park. 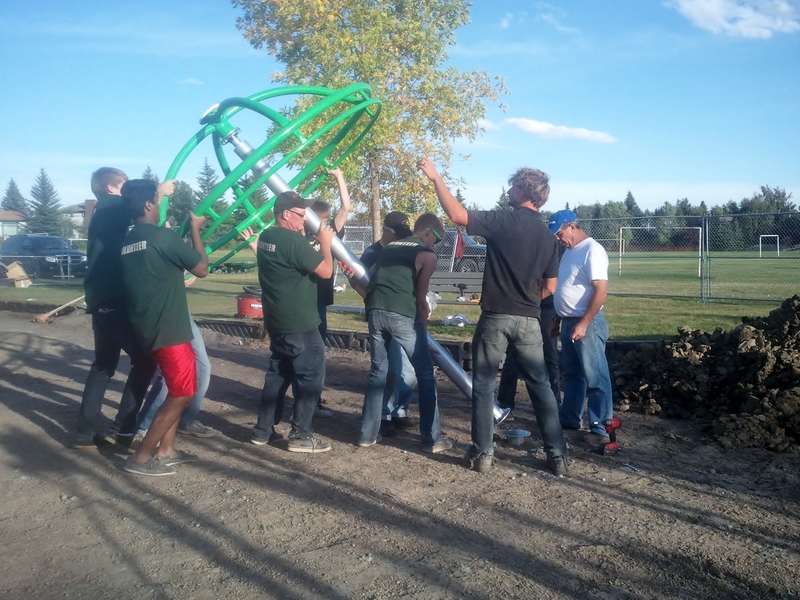 We had a great group of volunteers who put in an enormous amount of work and effort to ensure the playscape was built in 3 days! Thank you to BDI -Elbert, Greg and Hope for their guidance and expertise. 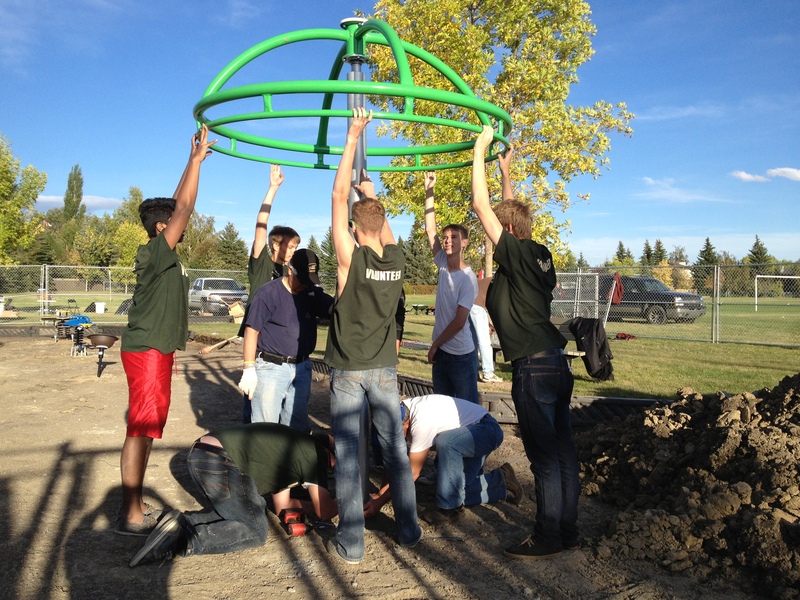 Blue Imp, The City of Calgary, The Parks Foundation and Propellus were instrumental in the supply of equipment, Materials and corporate volunteers (from geoLOGIC Systems) . Our Thanks to Sylvia at Cornerstone Music and Café and Angie at 23rd Street Café who catered this event and supplied fantastic food over the 3 day build. 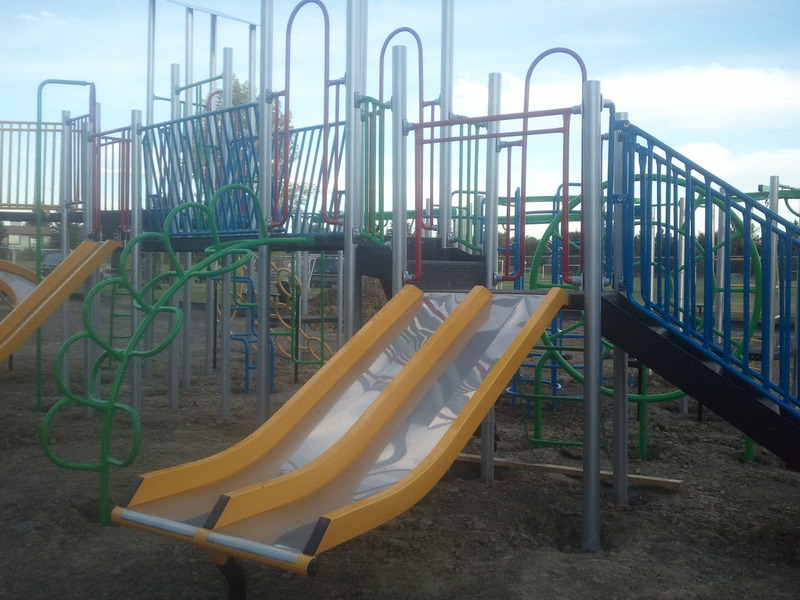 We could not have completed this project without the help of all of the volunteers, companies and organizations involved. 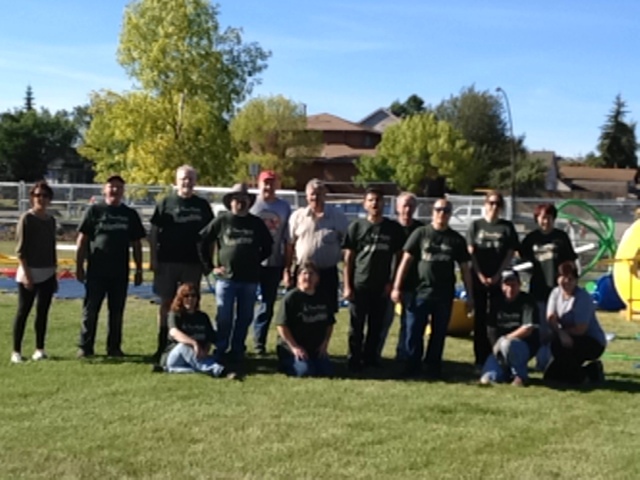 Thank you again from the Deer Ridge Community Association.